It is one of the prominent hill top parks with panoramic sea view on the East Coast. The divine view from the hilltop accompanies devotional overtones as the Lord Shiva and Goddess Parvathi sits ever so peacefully as if at the Manasa Sarovar in the great Himalayas. One can view the entire city of Visakhapatnam from the top of this Eco-Rich hill. Located on a picturesque hill with enchanting panoramic sea view, Kailasagiri is really an outstanding tourist spots in Andhra Pradesh. It is the Queen among the tourist locations in the City of Destiny. The hill park developed by VUDA covers 380 acres of land with exciting landscape gardens consisting rich flora and tropical trees. Situated at an altitude of 360 ft., the hill park gives fascinating views of sun kissed beaches on one side and the lush green forests on the other side beside an enthralling view of the bustling metropolis of Visakhapatnam. Kailasagiri is a favourite location among the filmmakers all over India. 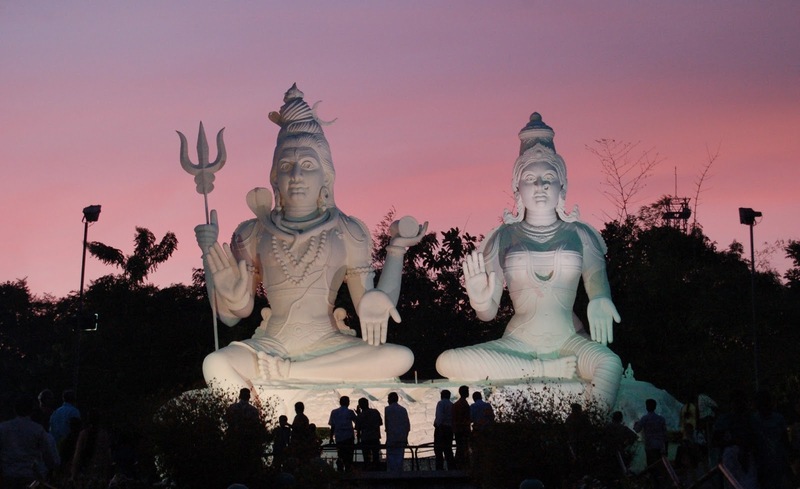 Besides the eye-catching and holy statues of Lord Shiva and Goddess Parvathi, the hilltop has many wonderful attractions like the Titanic viewpoint, floral clock, Shanku-Chakra Namas of Lord Venkateswara of Tirupati, Gliding point, delicious food courts and so on. The floral clock one of the biggest of India with a diameter of 10 ft. There is Shanti Ashram on the top of the hill, where one can earn lots of peace to their body and mind by spending time in meditation. A number of amazing view points are developed all around the hilltop. A capsule lift has been provided to enthral the visitors to view the beauty of blue seawaters and the city along with stunning beauties of the hilltop from further heights. The Government of Andhra Pradesh has awarded Kailasagiri as "the Best Tourist Spot" in 2003. The hilltop is well connected by all means of transport through ghat road Facing the City and seawaters. Two stairways are provided for pedestrians Pleasant weather prevails throughout the year on the hilltop. An exclusive Butterfly Park, Highest Manmade Water Falls are proposed projects on the hilltop. On an average around 3 lakh Indian and Foreign tourists visit this spot every year. It became a must-see place for all the visitors coming to Visakhapatnam including State guests and other VIPs. Above all Kailasagiri is the first location where plastic use is banned and implemented strictly to protect and promote healthy eco-balance. Kailasagiri Resort Center - located on a hill top is a must visit place and a good short stay location if you are visiting Vizag. Greenery and Fresh Breeze from one side and the beautiful hills round there give a pleasant feeling. 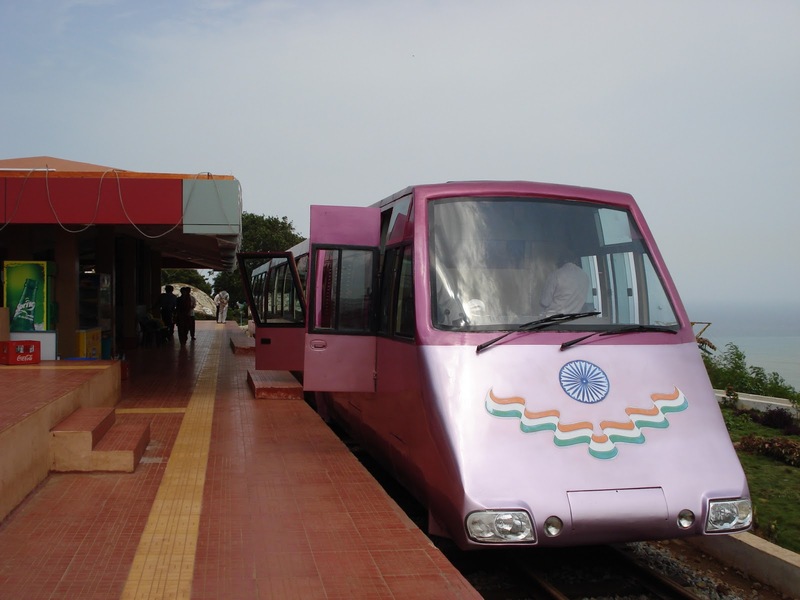 Train Facility is available to View the Vizag city from the Kailasagiri Hills ! !